ANTONIA PANTOJA: ¡PRESENTE! is the compelling story of a visionary Puerto Rican leader who inspired multiple generations of young people across the country and Puerto Rico. 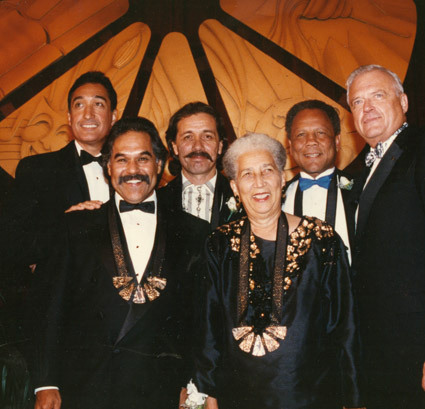 Unbowed by the obstacles she encountered as a black, Puerto Rican woman, she created enduring leadership organizations in New York, across the United States and in Puerto Rico. Recognized for her achievements in 1996, she received the prestigious Medal of Freedom from President Clinton. Just after death at the age of eighty, her “Memoirs of a Visionary” were published. Synthesizing home movies, archival footage with passionate personal testimony, the documentary sheds light on the Puerto Rican community’s quest for self-identity, educational rights and bilingual education. An inspirational figure, Dr. Pantoja demonstrates her charming, mischievous and self-reflective nature that she shared with so many. The film features protégés Anthony Romero, Executive Director of the ACLU, Digna Sanchez, Asst. Commissioner of New York State Children and Family Services, activist Alice Cardona and actors Kathy Najimy (“Sister Act”) and James Avery (“The Fresh Prince of Bel Air”), both of whom were deeply influenced by Dr. Pantoja during her work with them in San Diego, California. For nearly 30 years, Lillian Jiménez has worked as a producer, media arts center manager, media activist, exhibitor, funder, and educator. Organizations with whom she has worked include Young Filmmakers Foundation (now known as Film Video Arts); Third World Newsreel: The Foundation for Independent Video and Film; The Film Fund; co-founder of The Paul Robeson Fund for Film, Video and Radio at the Funding Exchange; Media Network, and the National Latino Film and Video Festival of El Museo del Barrio, among others. Under contract to the National Endowment for the Arts, she worked with arts organizations on strategic long term planning and has facilitated hundreds of meetings and retreats. Some of her prior clients include Women Make Movies, Fresh Air Radio in Minneapolis, The Foundation for Independent Video and Film and Urban Bush Women. A co-founder of the National Association of Latino Independent Producers (NALIP), she was its first recipient of the Life Achievement Award for Activism. She currently serves on the board of the Funding Exchange, a national network of community funds dedicated to supporting social justice. A pioneering Latina filmmaker, her 1979 debut film “Heart of Loisaida” has recently been recognized by the New York Public Library as part of their major film preservation initiative, “Twentieth Century Mirrors: America Through the Eyes of Independent Filmmakers.” She is a founding member and former NALIP (National Association of Latino Independent Producers) Coordinator, and was the Executive Director of the Center for Arts Criticism, a Minneapolis-based non-profit that brings together communities, artists and critics to create dialogue about the connections between the arts and our everyday lives. Before coming to CAC, Ms. Matías was Director of Production at the Independent Television Services and Executive-in-Charge of production at WNYC-TV. Ms. Matías is the recipient of Jerome Foundation, New York State Council on the Arts, and National Endowment for the Arts grants for her documentary work. She is producing “Constantly Chamorro,” a film about the making of modern Guam, an American territory in the Pacific, with Frances Negrón-Muntaner. Recognized as a “visionary independent producer,” Susannah Ludwig was named the 2003 Mark Silverman Fellow by the Sundance Institute. Recently Ludwig produced Stolen (Independent Lens), a fascinating and outrageous story of the largest unsolved art heist in American history, which took place at the Isabella Stewart Gardner Museum in Boston in 1990. Ms. Ludwig has been a major force in the realization of numerous critically acclaimed films including Our Song, directed by Jim McKay (released May 2001 by IFC Films), The Ballad of Ramblin Jack, (released by Lot 47 Films), Spring Forward starring Ned Beatty and Liev Schreiber (distributed by IFC Films) and La Ciudad, (recipient of the Open Palm Award at the Gotham Awards, Best Picture at the Havana Film Festival and distributed by Zeitgeist Films). Sonia has been an editor for over ten years. She learned her craft as an assistant editor for such esteemed directors as Spike Lee, Milos Forman, Alan J. Pakula, Ted Demme and Robert Redford. As an editor, Sonia has cut numerous shorts, independent features “Destination Unknown,” “El Circulo Vicioso” and “Afrodite Superstar” and “Nuyoricans,” a documentary for PBS that was aired in August 2003. Sonia has also edited numerous DVD special features, among them: “Lady Sings The Blues,” “Four Brothers,” “The Ghost Whisperer” (Season One), “The Facts Of Life” (Season One & Two). Sonia’s directing credits include the short comedy “Debutante” and the documentary “Bragging Rights” that chronicles the history and players of the New York City game of stickball which aired on PBS/WNET in September 2006. 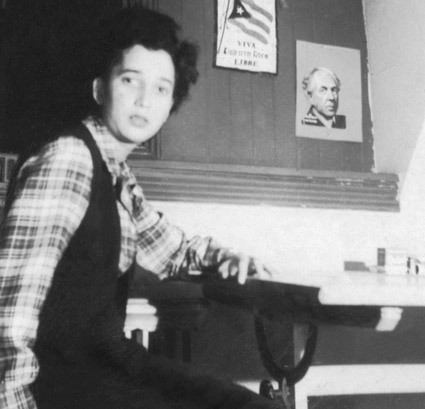 Sonia is currently a co-editor on the feature documentary, “Antonia Pantoja: ¡Presente!” about the life and work of Puerto Rican educator Antonia Pantoja. Sonia is also a field producer for DVD and web content. Her producing credits include “Rescue Me,” “Damages,” “Canterbury’s Law,” “New Amsterdam” and “Cashmere Mafia.” In 1992, she received her BFA from New York University in Film. DVD copies for this program are currently available. For more information, please visit: www.wmm.com/pantoja.